so this weekend was actually pretty entertaining... in both a good and bad way. lots of prepping for sunday dinner- our first time having the whole fam over and hosting at our new place! and an ugly sweater party that you'd be seriously sad you weren't invited to. because it was that awesome. the party was definitely the highlight. and i may or may have not won the ugly sweater contest. all the costco runs ended up being worth it. and our christmas cards turned out pretty good, all things considering. 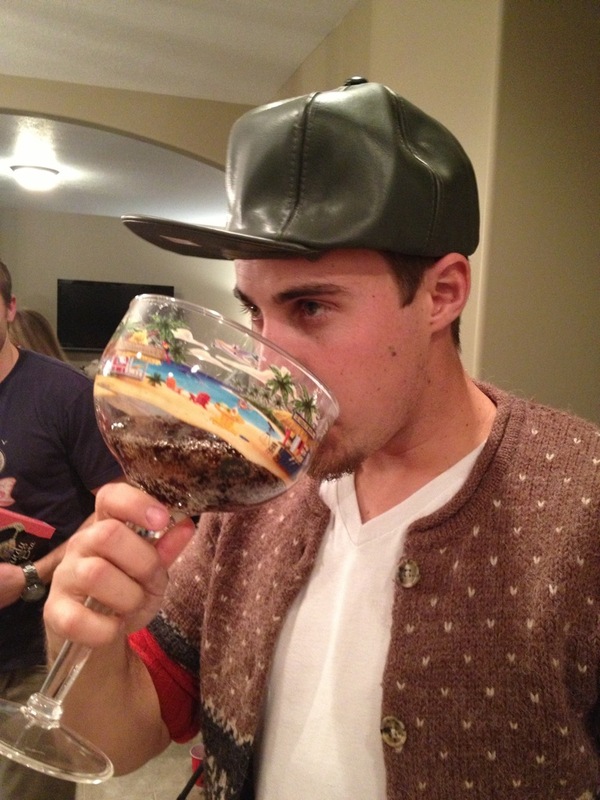 here are a few photos from the ugly sweater party. i decided an ugly sweater wasn't enough and may have gone a little overboard. and below is hubs' killer white elephant gift that he ended up with. it was kind of a hot item. 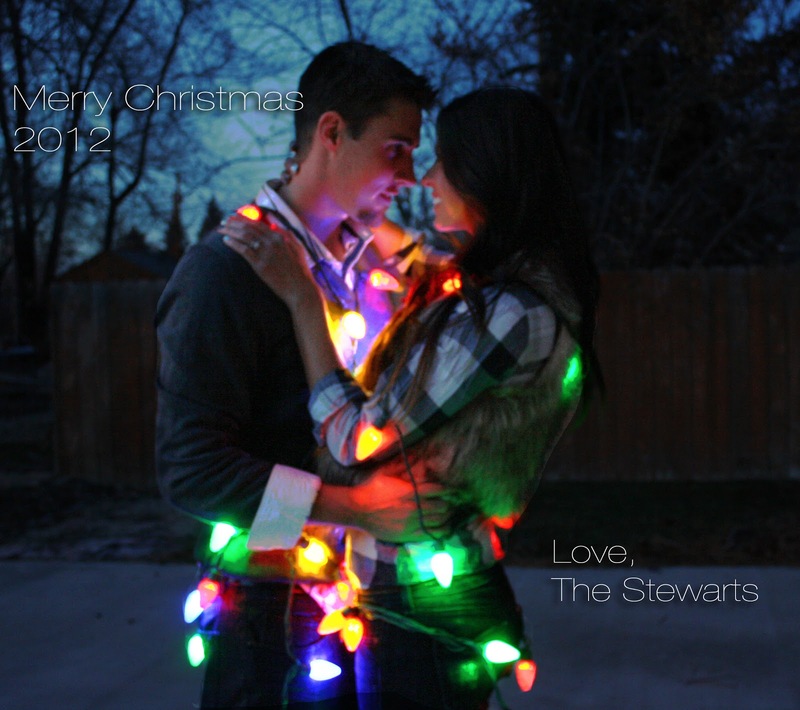 happy holidays from the stewarts! Awww I love your Christmas picture! This is so cute!!! Your Christmas photo is so creative :-) annd yes Costco is no fun around the holidays!! I have to go there this weekend and pick up the custom calendar I made for my boyfriend- did you know they have those?? They're awesome and so fun to make!! I actually just found out they did that and that is awesome! Good luck to you this weekend- Costco around the holidays is a little crazy! Your outfit for the party is so cute! Haha, seriously! A faux leather hat and a huge martini glass= white elephant awesomeness. Ugly sweater outfit = amazing.. and LOVE the cards. Great pictures! I want to see a virtual tour of your new home! Definitely! I need to get pictures up soon!